We like transparency when it comes to pricing. Deploy your digital collaboration platform for a one-time cost per user. Don’t worry; Involv will grow with you if you please. The optional annual software assurance brings you timed updates so you will get the most out of Involv, always. +600 users or non-profit? Contact us for a special offer! 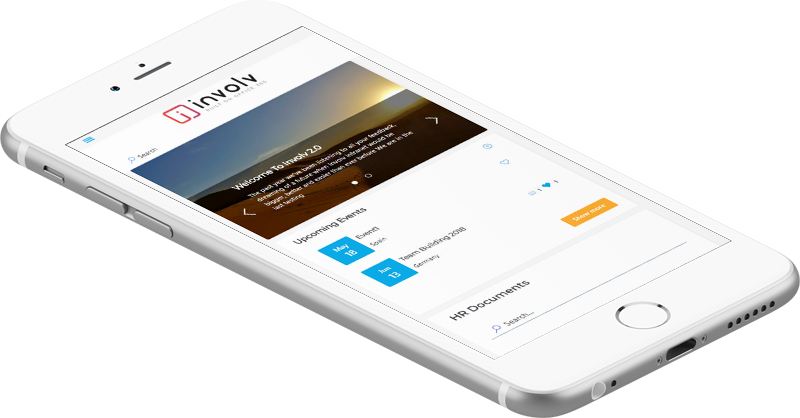 Involv is so easy to use that you don’t need our help to get started. If you do need assistance from one of our developers to set up an advanced site structure, configure your user rights or provide some custom development, that’s possible. That way, you’ll never lose valuable time setting up your intranet. Contact us to see which of the packs below suits your needs. What’s included with the annual software assurance? Software assurance is optional. It gives you access to the support desk, all core product updates, extra functionalities and new releases. An Office 365 or SharePoint on premise install is required before deploying Involv. Deployment will take maximum 1 hour and requires no technical knowledge thanks to the easy to follow steps. If you do need assistance, to migrate your existing content for example, we do offer success packs. Can I try involv for free? Yes. If you’re interested in getting to know Involv better, please schedule a call for a demo first. This way we can get to know your business a little bit better and help you get the most out of your demo. We can even personalize the demo environment for you with matching brand colors and logo. Licensing is based on a named user model. Anyone accessing Involv requires a license. The cost of the software license is a one-time fee.